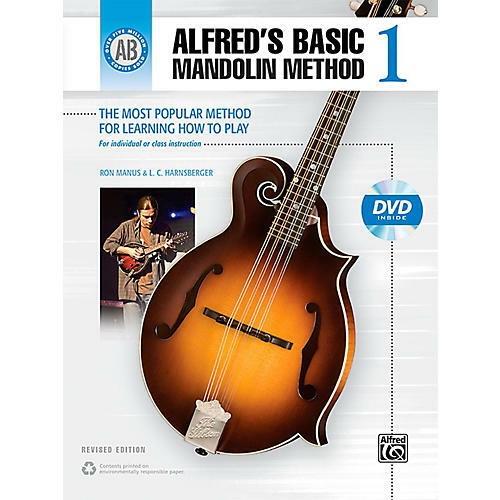 Alfred's Basic Mandolin Method has been updated, revised, and improved. It features clear, well-paced instruction for beginning mandolin students. Now, students can enjoy a DVD with video instruction by Jared Meeker who demonstrates all of the examples and makes techniques and concepts easy to understand. Learning to play has never been easier or more fun than with Alfred's Basic Mandolin Method---the best choice for today's beginning mandolin students. * Great-sounding performances on the DVD performed by expert instructor Jared Meeker. Recognized for over 50 years as the best-paced and most comprehensive guitar method available, Alfred's Basic Guitar Method has introduced over 5 million beginners to the joy of playing guitar. The quickest, easiest, most enjoyable method for learning to play the mandolin.